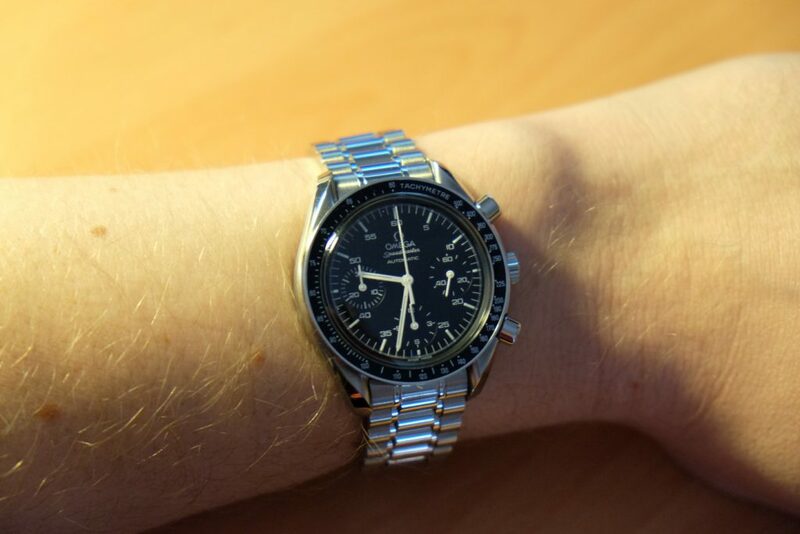 After 2 years of trouble-free ownership, I sold my Omega 3510.50 speedy reduced. Why? Well, it felt too small (diameter wise) and I just couldn’t grow accustomed to it. 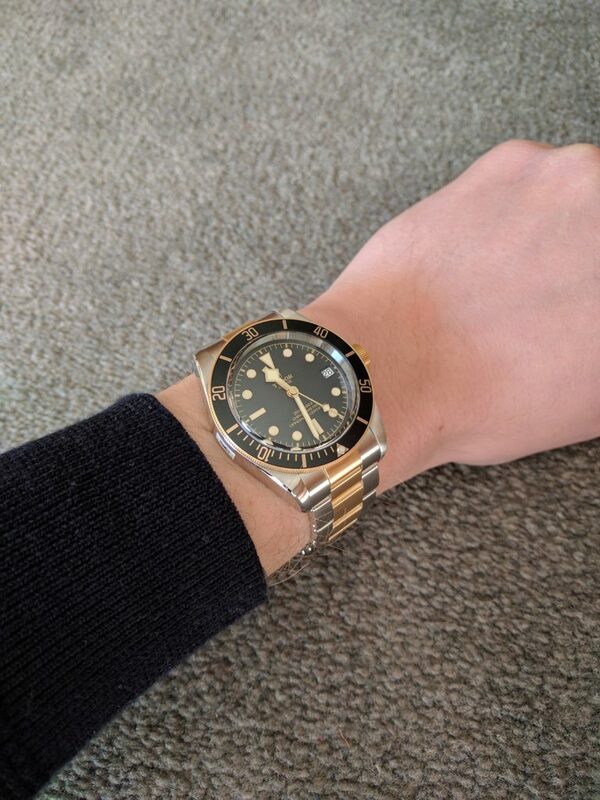 The research I did prior to purchasing the watch told me it was going to be too small (~38mm diameter, 39mm including the crown), but I wasn’t concerned, and convinced myself that I could make it work. 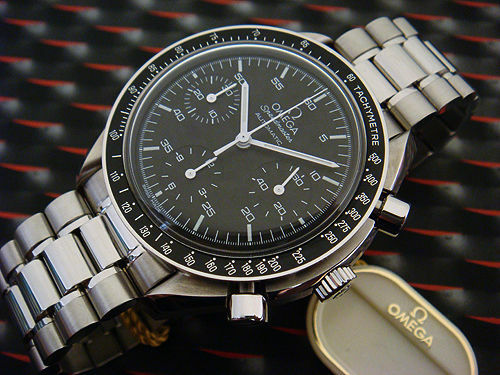 I mean, how much difference could 4mm make between the regular 42mm Omega Speedmaster (Man on the Moon) and the reduced 3510.50? The reduced Speedy was to be my first luxury watch. I had always worn watches, and had built up a small collection of cheap designer-brand pieces. One evening in 2015, I decided to refine my watch interest, and focus on quality rather than quantity. 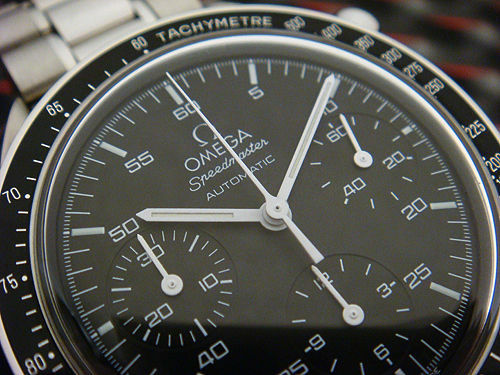 I’d always wanted a Speedmaster, and started researching Omega and the 3510.50 as a cost-effective entry into a luxury brand. Watch enthusiasts on forums were (mostly) all saying the same thing: “too small” about the 3510.50. However, I decided that the 38mm diameter would work for me. The automatic caliber 3220 movement in the 3510.50 sounded like a positive thing. I wasn’t so keen on a manual wind 1861 movement. 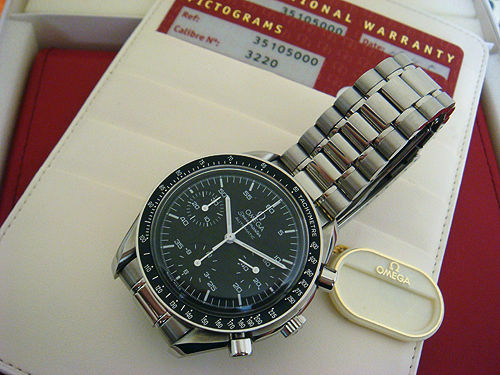 I also didn’t want to spend double the price of a 3510.50 for a full sized Moonwatch Speedmaster. The right watch finally appeared on eBay at the right buy-it-now price, complete with box and papers. I bought the reduced Speedy sight unseen. When it arrived, my first impression when opening the box and seeing the watch for the first time was, “oh dear, the 3510.50 really is small”. Now, I don’t have the biggest wrists in the world. Far from it. I have a very average 7″ wrist diameter (~17.78 cm). Regardless, this watch is small. I had been so used to wearing 40-41mm Seiko, Casio and D&G watches, that the 3510.50 looked and felt insignificant on the wrist. It certainly had a good weight to it, and impeccable build quality, but it felt very small. I had to use all of the spare/supplied bracelet links in order to fit the watch on my wrist (and it “just” fit, with the locking clasp on the 2nd to last adjustment notch). I know a lot of people with larger wrists than me. Omega 3510.50 bracelet links are regularly sold online for a premium. If you have a wrist larger than 7″, prepare yourself for the need to find and purchase one or more additional bracelet links. The watch just worked, with excellent accuracy (measured several times throughout my ownership at +2 seconds per day). Sometimes I would not physically move my wrist enough during a working day (office desk job) and the power reserve would become depleted and the watch would stop working. I found the self-winding mechanism required vigorous wrist movement to spin the rotor and wind the spring. The watch often needed a manual wind to top it up. The manual winding mechanism always ‘clicked’ very distinctively when the main spring was wound fully, ensuring that no damage was done to the movement due to over-winding. 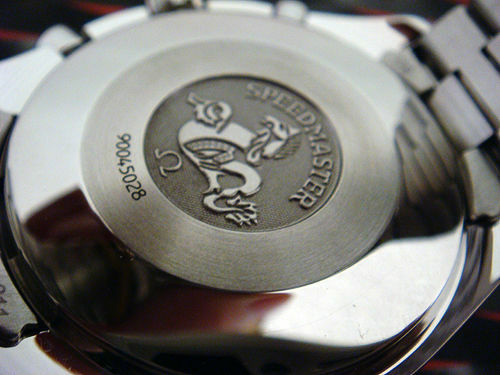 The 3510.50 has a 40h power reserve. 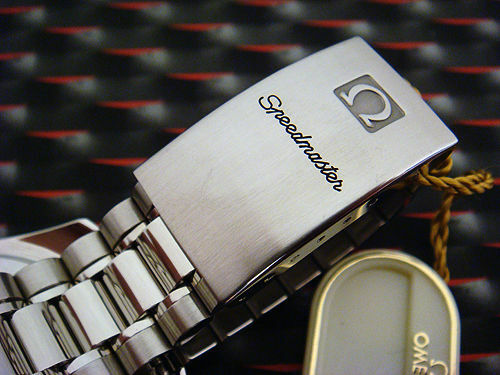 Although the case-back is lightly rounded and sporting a prominent speedmaster logo, the watch was extremely comfortable, and never left my wrist feeling fatigued. 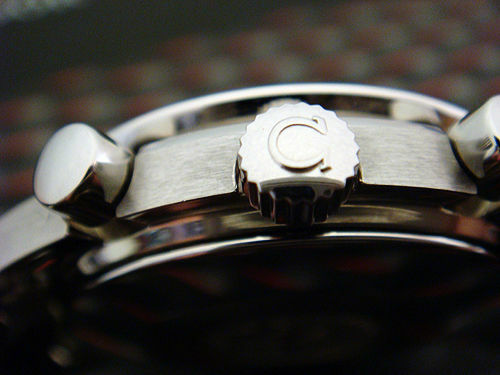 The bracelet was relaxed, and at 18mm wide, was proportionate to the watch case. I was terrified of scratching the hesalite crystal. I even bought a tube of Polywatch, in anticipation of needing to polish scratches out of it. But thankfully, I never scratched it. The hesalite crystal looked clear and did not distort the visibility at all. I noticed a very small laser etched Omega hologram in the middle of the hesalist crystal. The chronograph function worked beautifully, and the chrono seconds hand reset in a snap to the 12-o’clock position every time. The small-seconds hand, and chrono minute and hour counters worked smoothly and surely. The lume was absolutely terrible. This particular watch was from around the year 2001, and the lume was depleted. A full day in the sun would yield about 5 minutes of visibility for the hour, minute and hour marker in the dark. Another bad point (in my opinion) with this watch was the press fit deployment folding clasp, with no release button or security catch. It took me a couple of weeks to get used to and trust the security of the clasp. I thought the watch would fall off without me noticing. And finally, the original red Omega faux-leather box had deteriorated badly. 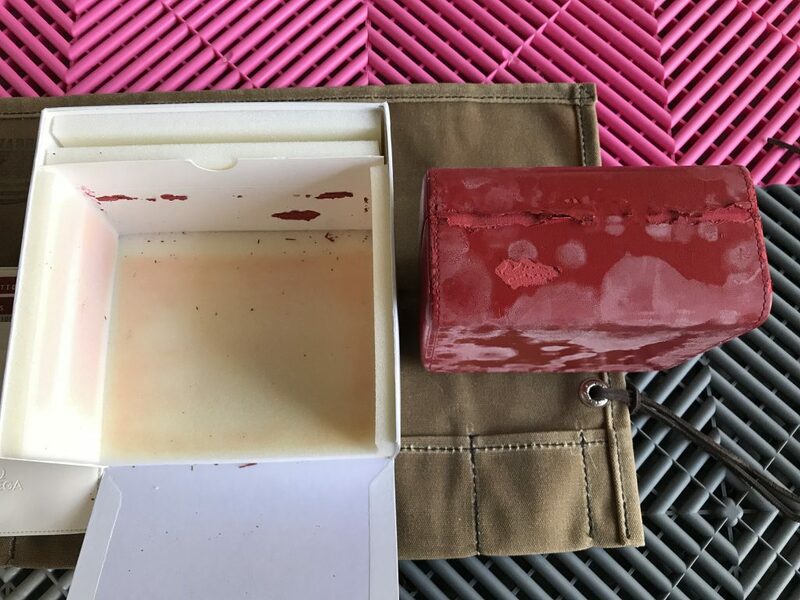 The outer cardboard and foam box had stuck itself to the red box, damaging the surface. I understand that this is a common issue for ageing Omega faux-leather watch boxes. Watch collecting is a sickness. As Baselworld rolls around every year, hobbyists, enthusiasts and collectors alike marvel at the new models being released by the world’s watch manufacturers. Last year, I decided that I would focus my attention on a new-release diver-styled watch, back in the 41mm diameter range (Tudor m79733n). I never got used to the small size of the 3510.50, and sold it. Two years of 3510.50 ownership did not cost me anything – I sold it for what I paid for it. 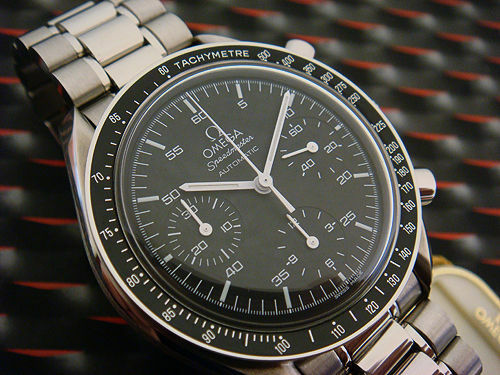 The market for entry level Omega Speedmaster watches is strong. If you are considering purchasing this watch, go with your heart. Just consider that if you are used to larger diameter watches (and I don’t mean 78mm Invicta or Diesel watches), you may be disappointed.